However, in terms of contraceptive use, Ireland is still not quite hitting the average for developed countries. FIGURES IN THE latest UNFPA report show that Ireland is performing well in the areas of sexual and reproductive heath. According to the 2012 State of World Population study, the rate of contraceptive use in Ireland is close to the average for highly-developed countries. 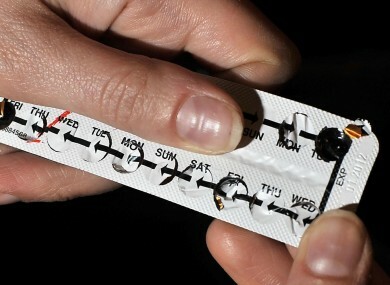 The research highlights that 61 per cent of Irish women aged 15 to 49 use modern methods of contraception. That is compared to a worldwide prevalence rate of 57 per cent. The worst-performing country in the category is Somalia, at just one per cent. The adolescent (aged 15 to 19) birth rate in Ireland is 16 per every 1,000 women. The global average is 49, while in developing countries it shoots up to 116 per 1,000. Ireland also follows suit with the world average of 1.1 per cent for population change. However, its fertility rate per woman is slightly above average at 2.1 per cent. At the Irish launch of the report yesterday, Dr. Niamh Reilly, Co-Director of the Global Women’s Studies Programme at NUI Galway, highlighted how Ireland and other countries have benefited from making family planning programmes more accessible. “Recognition of the right to determine when, if and how many children we have is a relatively new and hard-won achievement in Ireland, and an unfinished agenda,” she said. “In the very recent past, our country was transformed once women – and the population in general – gained access to family planning. Undoubtedly, better access to family planning contributed significantly to the development of Ireland’s society and economy in the 1990s and early 2000s, as women’s participation in social, cultural and economic domains expanded hugely. Throughout the world, it has been demonstrated that increased access to family planning results in wide-ranging economic and social benefits. “The ability for a couple to choose when and how many children to have is one of the most effective means of empowering women. Ireland’s recent history supports the evidence globally that women who use contraception are generally more empowered in their households and communities, and enjoy better health and educational attainment,” concluded Dr Reilly. The report also revealed that 222 million women across the world have an “unmet need for family planning”. It argued for increased family planning as a “sound investment”. Email “Ireland 'performing well' in areas of sexual and reproductive health ”. Feedback on “Ireland 'performing well' in areas of sexual and reproductive health ”.